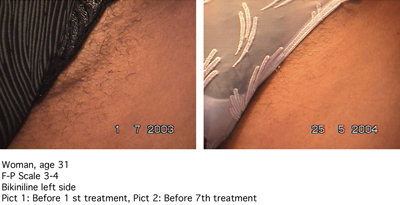 A Technological Breakthrough in Permanent Hair Reduction _ Depilar! The enzyme Trypsin is a proteolitic protein used in the process of reducing hair growth. An enzyme is a specialized protein that facilitates a chemical process without affecting its own molecular structure. In the Depilar System the Trypsin acts specifically on the proteins in the cells of the hair follicles. A protein is a complex organic substance made by combining more than ten amino acids, these being the most abundant substances found in cells and consisting of more than 50% of the cells’ dry weight. to waxing. It is not necessary to give special consideration to skin/hair type or color. In other words, dark or light, thick or thin, it all goes! The only requirement is that the length of the hairs is minimum 5.5 mm, which ensures an efficient wax treatment. It is important that the visible hair is removed by the roots, so the follicles are left empty enabling the Depilar System to enter the empty follicles and the protein destruction can start. 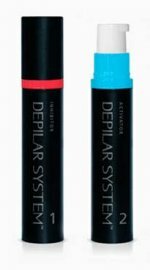 To book on-line click here or to talk to one of our experienced therapists about the advantages of the Depilar system call us today on 03 331 6 166.